Click here to see what Laoise found in more detail. 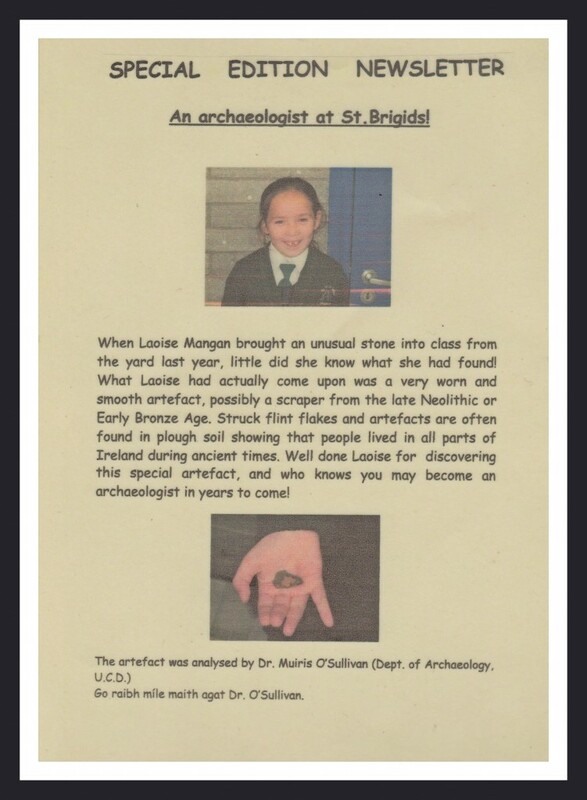 This entry was posted in Artefacts, Flints, From the Archives, Neolithic Era, Prehistory, St. Brigid's National School, The Stone Age and tagged Artefacts, Flints, From the Archives, Neolithic Era, Prehistory, St. Brigid's National School, The Stone Age. Bookmark the permalink.